I’m glad I had a nice weekend because it gives me a lot of extra goodwill to expend. Terri should wager 12,000 to cover Shawn. 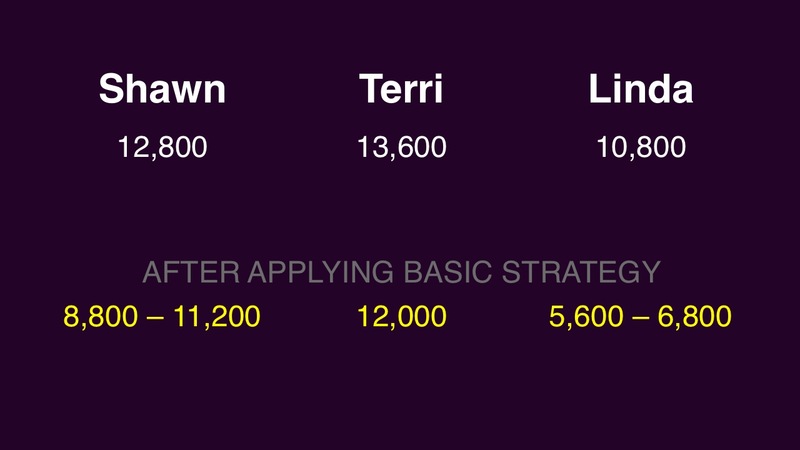 Shawn can wager up to 11,200 to stay above Terri if they’re both wrong. Linda can wager up to 9,200 to stay above Terri should they both miss. Shawn should wager 8,800 to cover Linda. Linda should cap her wager at 6,800 to stay above Shawn should they both miss. 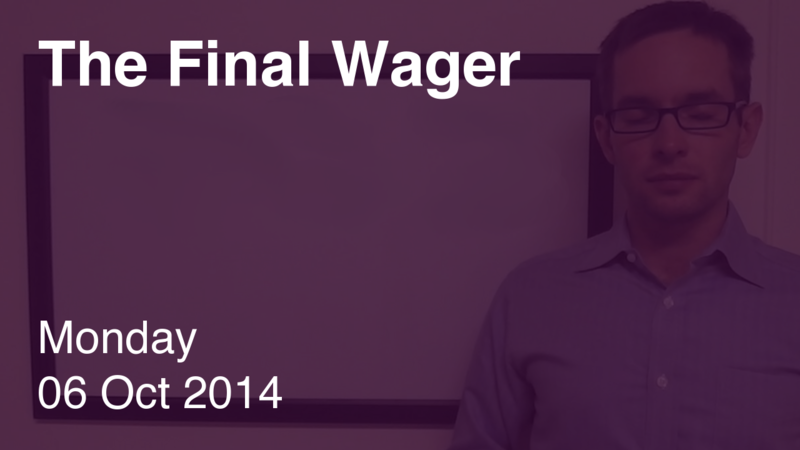 Linda should wager 2,800 to cover zeroes by her opponents, and 5,600 to cover “unsafe” wagers by both. If Shawn’s right with his 11,200 wager, he’ll have 24,000. Terri could wager 10,400 to cover that. If she’s wrong, she’ll have 13,200, so Shawn should cap his wager at 9,600. Linda would have 17,600 with a correct response and a maximum wager. Shawn could respond by wagering 4,800. Linda might cap her wager at 2,800. Recall Linda can wager 2,800 to cover a zero by both Shawn and Terri. JOHN WILLIAMS SAID HIS MUSIC FOR THIS EVENT, NOT A FILM, TRIED TO CAPTURE THE SPIRIT OF COOPERATION, OF HEROIC ACHIEVEMENT.